Happy Tuesday! I was fortunate to be selected to help promote the National Guard’s Soldier of Steel™ transformational workout plan. Talk about perfect timing - I have a brand new sparkly ring on my left hand and need to get into wedding dress shape (more on the ring later). 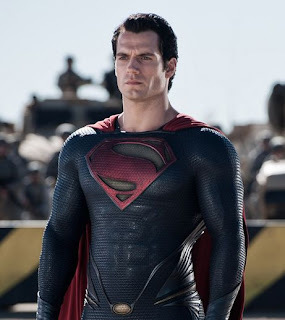 I wonder what Henry Cavill would look like in a wedding dress. Sorry, Henry distracted me. Back to the reason behind this post. Hollywood fitness trainer Mark Twight developed a workout plan for the National Guard, which was used to transform Henry Cavill into the MAN OF STEEL™. You can download the one-month Soldier of Steel Tranformational Workout Plan by visiting soldierofsteel.com. Here you will find find fitness training websides, training turtorials on 23 different exercises. THIS workout is no joke. 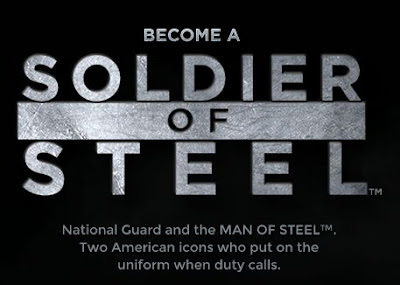 The Soldier of Steel Transformational Workout Plan is an essential trait for every Soldier. National Guard Soldiers are trained to be ready for anything. Just as Clark Kent transforms into the MAN OF STEEL™. Did I mention Henry Cavill is shirtless in this video? DISCLOSURER: this was a compensated review of the Soldier of Steel™ workout, made possible through my partnership with FitFluential. All opinions are mine.